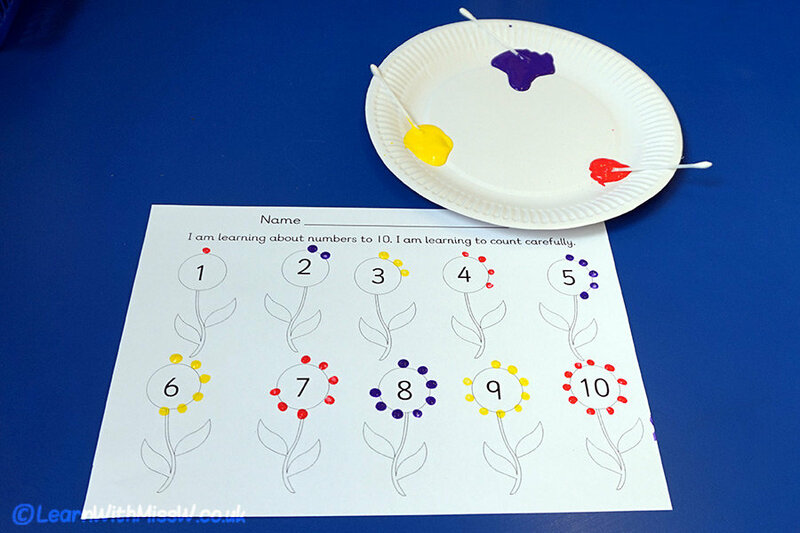 Explore number and counting with this painting activity. Learners dab the correct number of petals onto each flower. In this version the numbers are in ascending order, which makes it easier for children who aren’t fully confident recognising all the numbers to 10. In a few weeks I’ll do a similar type of painting activity with the numbers out of order. I have used this as a maths station and also as a free choice activity at the art table. This is an alternative to worksheets where children draw the correct number of objects, I’m hoping they will find this more fun. Although its quite hard to take away any dots if the child realises they have done too many!